NEW YORK, NY — US authorities intercepted and recorded millions of phone calls last year under a single wiretap order, authorized as part of a narcotics investigation. The wiretap order authorized an unknown government agency to carry out real-time intercepts of 3.29 million cell phone conversations over a two-month period at some point during 2016, after the order was applied for in late 2015. The order was signed to help authorities track 26 individuals suspected of involvement with illegal drug and narcotic-related activities in Pennsylvania. The wiretap cost the authorities $335,000 to conduct and led to a dozen arrests. But the authorities noted that the surveillance effort led to no incriminating intercepts, and none of the handful of those arrested have been brought to trial or convicted. The revelation was buried in the US Courts’ annual wiretap report, published earlier this week but largely overlooked. “The federal wiretap with the most intercepts occurred during a narcotics investigation in the Middle District of Pennsylvania and resulted in the interception of 3,292,385 cell phone conversations or messages over 60 days,” said the report. Sam Cossman was hit by a big idea next to a lava lake. With his sight obscured by fumes and vapors, he couldn’t be confident of his next step. Traditional thermal imaging was a solution, but not an ideal one. So, Cossman cofounded Qwake Tech with Dr. John Long, Ömer Haciömeroglu, and Bahar Wadia. Qwake Tech’s augmented reality helmet. 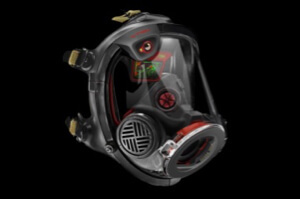 Qwake Tech’s augmented reality system, C-Thru, is built into a futuristic helmet and relies on a thermal imaging camera, toxicity sensors, edge detection, and an AR display to cut through smoke with useful visuals. It might have been born in a volcano, but Qwake Tech thinks the system has wider applications in disaster situations, such as a burning building. The company is working with firefighters to improve current handheld thermal imaging, which requires a firefighter to stop, hold up a device, look through it, interpret the display, put it down, and move forward. C-Thru’s display is positioned in front of the eyes, providing a hands-free AR video feed. It further clarifies the video by highlighting key details with bright edges. The company says this will allow firefighters to move much more quickly through buildings. Former President Obama is involved in discussions about the future of the Democratic Party, sources close to the former president tell The Hill. Since leaving office, he has held meetings — on a by-request basis — with a handful of House and Senate lawmakers in his office in Washington’s West End and over the phone. In recent months, for example, he sat down one-on-one with freshman Sen. Chris Van Hollen (D-Md. ), according to a Democrat familiar with the meeting. He has also met with and has had phone conversations with Democratic National Committee Chairman Tom Perez throughout the spring, according to two sources. “Hey man, it’s only the future of the world in your hands,” Obama joked with Perez in one conversation, according to a DNC aide. Obama’s former political adviser David Simas, who is now the CEO of the Obama Foundation, has also been making a string of calls to DNC officials in recent months. LONDON (Reuters) – The world’s leading drug companies are turning to artificial intelligence to improve the hit-and-miss business of finding new medicines, with GlaxoSmithKline unveiling a new $43 million deal in the field on Sunday. Other pharmaceutical giants including Merck & Co, Johnson & Johnson and Sanofi are also exploring the potential of artificial intelligence (AI) to help streamline the drug discovery process. The aim is to harness modern supercomputers and machine learning systems to predict how molecules will behave and how likely they are to make a useful drug, thereby saving time and money on unnecessary tests. AI systems already play a central role in other high-tech areas such as the development of driverless cars and facial recognition software. “Many large pharma companies are starting to realise the potential of this approach and how it can help improve efficiencies,” said Andrew Hopkins, chief executive of privately owned Exscientia, which announced the new tie-up with GSK.